first line: London, the year I turned twenty. At nineteen, Annie Black trades a bleak future in a washed-out California town for a London winter of drinking and abandon. Twenty years later, she is a San Francisco lighting designer and happily married mother of three who has put her reckless youth behind her. Then a photo from that distant winter in Europe arrives inexplicably in her mailbox, and an old obsession is awakened. Past and present collide, Annie’s marriage falters, and her son takes a car ride that ends with his life hanging in the balance. Now Annie must confront her own transgressions and fight for her family by untangling the mysteries of the turbulent winter that drew an invisible map of her future. Gripping, insightful, and lyrical, A Small Indiscretion announces the arrival of a major new voice in literary suspense as it unfolds a story of denial, passion, forgiveness—and the redemptive power of love. I found A Small Indiscretion to be a quiet and intense novel centered around a woman whose actions in her youth continue to carry on into her adulthood and affect not only herself, but her loved ones also. The story goes to and from past and present as you are drawn into Annie Black’s life. Author Jan Ellison slowly drew me in, I did not know where Annie’s story was going but I wanted to find out. Annie is a married mother whose son is in a horrible car accident and is in a medically induced coma when she begins to write down her story, which is essentially a confession, for him. I love a good quote. I often share them on social media forums like Instagram, Facebook and Twitter as well as here on my blog. I find alot of great quotes over @ http://www.quotegarden.com/. Whenever I am reading a book and a quote stands out I tend to Tweet it or I will bookmark it to include with my review later. I could make this list top 100 bookish quotes, but here are a few of my recent favorites…. On a blogging note…I have been away from blogland for a few weeks now. I’m still doing my reading and have a few reviews I need to work up. I actually have been stubborn as a mule with one historical romance novel that I have been reading for weeks. I refuse to DNF and have about 50 pages left. I have been reading it in between other books. But mostly, this cool Fall weather has me snuggling up with my crochet in front of the tv during the evenings when I get home from work. I have taken a few trips out with my camera for picture taking on the weekends. With the gorgeous Fall foliage and when the sun is shining just right, the view is really beautiful when you stop to simply look. I hope to share a few shots with maybe a Wordless Wednesday post here and there. 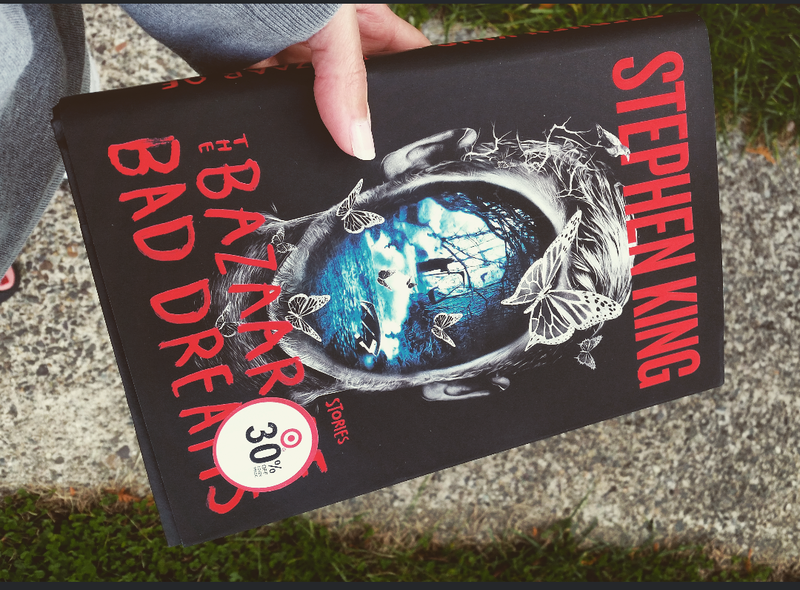 On a bookish note, I went to Target last week to grab a copy of King’s latest, The Bazaar of Bad Dreams. first line: I am dead, but it’s not so bad. On my daughter’s recommendation, last month I read Warm Bodies as part of the 24 Hour Read-a-Thon. Author Isaac Marion writes a refreshing take on zombies. This one is kind of like Romeo & Juliet, except R is a zombie guy and Julie is still alive. We get the story through his eyes. R does not remember his name or his age, or anything really before he died. In a world where the dead walk and the living are trying to stay alive, R comes across Julie one day while out looking for food.